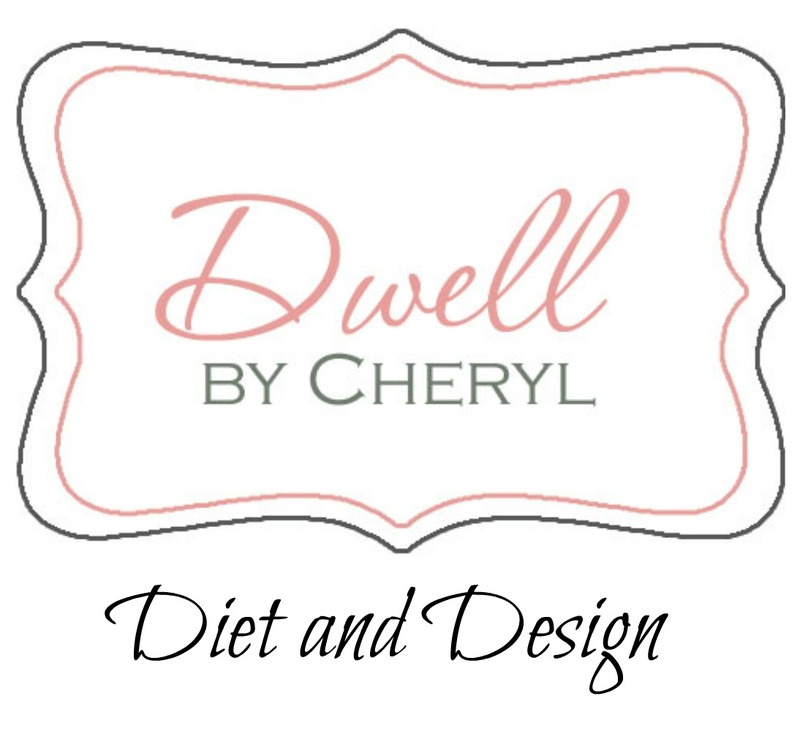 Dwell by Cheryl: "The Easter Table"
"Happy Times at Habitat Restore"
"Decor Tips for an Apartment Bathroom"
"Mirror on Mirror Link Up"
I'm super excited about this post for a number of reasons. First, I'm exploring incorporating more video into my blogs and second because I'd like to also begin to share some quick nutrition tips with you as well. 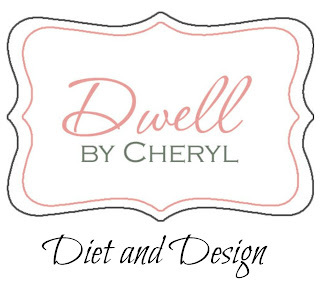 If you weren't already aware, I'm actually a Registered Dietitian by trade and I must admit after launching Dwell by Cheryl, the thought of leaving that piece of me behind made me a little sad. Well, after receiving some very wise advice from a very knowledgeable source, I realized that maybe I don't have to leave it behind after all. So on today's post, I'm giving it a try. I'd love to know what you think. With Easter swiftly approaching, I thought I'd share with you a quick and easy tablescape for your holiday dinner. There's just nothing like a beautifully set table to make your meal more special, and it's not as difficult as you think. Chances are, you've got all of those pretty dishes stacked away in the cabinets, so why not use them? Lastly, since we're discussing entertaining, it's the perfect time to think about what's on your menu. March is National Nutrition Month and this year's theme is Eat Right, Your Way, Every Day. Moderation- Maybe you can't eat the Glazed Ham, Macaroni and Cheese and Potato Salad, so consider switching out one option to a side salad instead. Portion size- We all love sweet treats like dessert, but if you're planning on three layer Coconut Cake this Sunday, limit yourself to one slice with dinner. Physical Activity- Easter weekend is all about celebrating the death, burial and resurrection of Jesus Christ, not to mention sharing the love that He shares with us. What a perfect time to spend with family doing something active i.e. an afternoon walk or a trip to the park. It's not about giving up your favorites at all. It's about considering your total diet and overall pattern of food you consume. That's what's most important. For more information, including healthy eating tips, click HERE. Have a very happy and healthy Easter!